This afternoon, Alex and I visited iTube for the first time. We’ve just recently discovered this hidden secret, just recently opened, in the heart of the city and I have to say it is indeed a cool concept and one that is appealing to dog lovers. 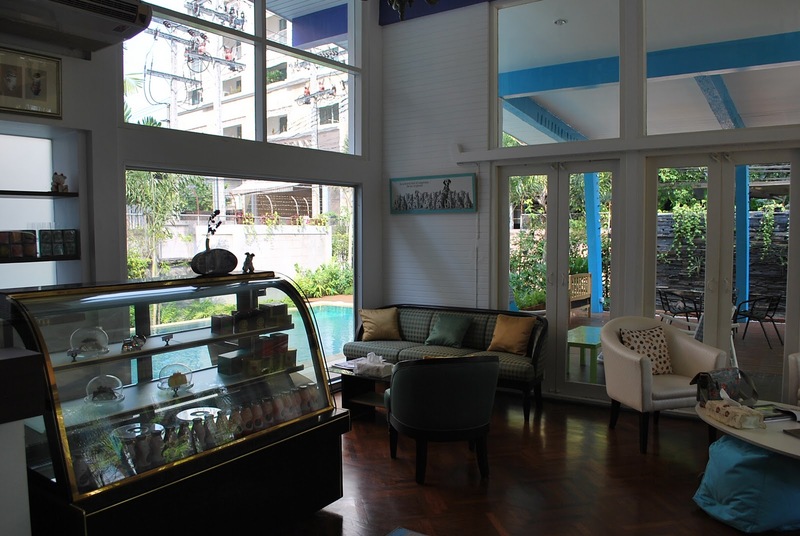 It’s a place where you can imagine spending your Sunday afternoon chilling away in the comfort of a 1960’s style house with coffee, cakes and a saline pool where dogs get centre stage. It’s not just a coffee shop, it’s a place where dogs can swim and have fun. Here, dogs can feel at home and run around as if they were the masters of the place. Upon first driving into Soi Promit, just off Sukhumvit 39, you are surrounded by a number of houses until you reach an apartment building. Turn left and iTube is to your left. It’s hard to miss this 1960’s house in its unique blue colour. I love the large parking space and the lush garden that greets you upon arrival. I feel like I’m visiting a friend’s house, yet this is a place that is open to all dog lovers. 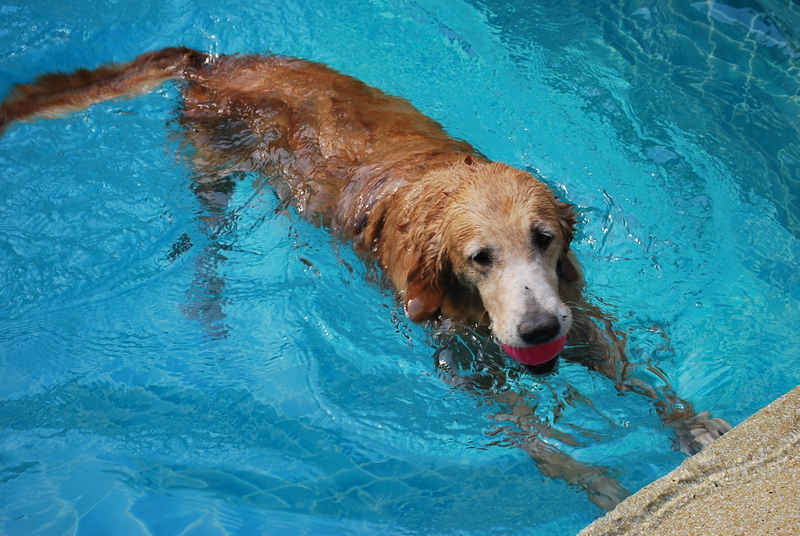 A large golden retriever named “Candy” runs over to greet the guests and has a full time job of swimming in the pool. What a blessed dog. In the hot sun, with the clear saline water pool, I feel like jumping in to play with Candy. I hear that some owners actually do and there is a shower where they can wash. They have everything here. 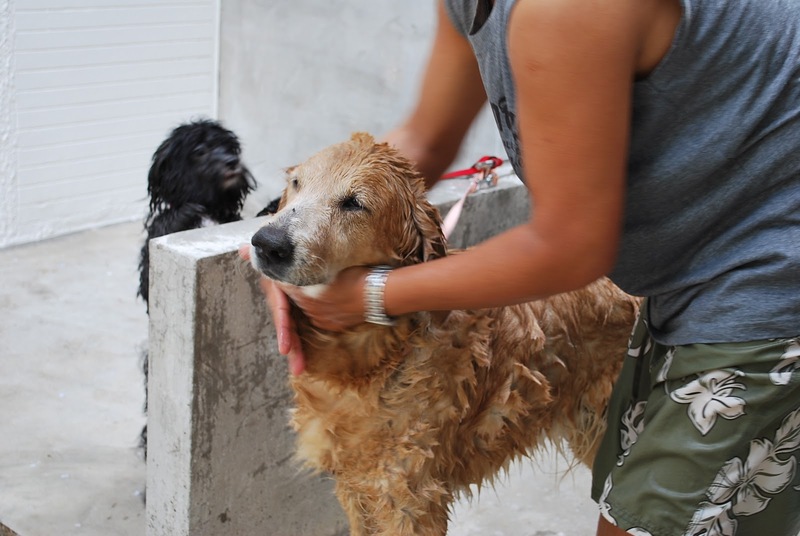 There’s a shower area for dogs where they are washed before jumping in the pool, and shampooed after a good swim. There’s a grooming room where they are blowed dry and beautified before their trip home. There are also life vests of all sizes for dogs. Small, Medium and Large. There are also two dog caretakers to do the washing for you. Once finished, you can choose to relax in various areas. 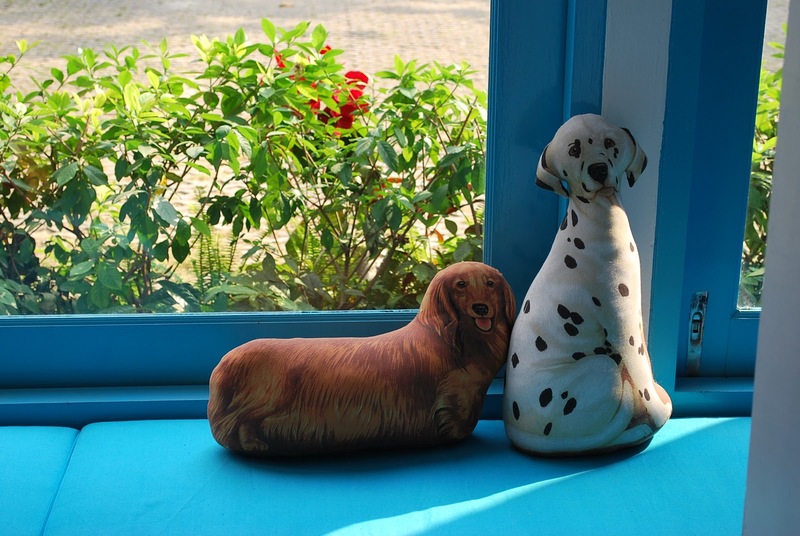 There’s the outdoor pool and garden area, the main lounge and the little shop area where you can sit amongst cute dog cushions and buy little goodies for your dogs. I’m tempted to buy the cushions back. It looks like Dyzio, my beloved dog. I’m told that earlier there was a Chi-huahua contest held at iTube and that some had their Chi-huahua swim. I could never imagine a dog so small swimming, yet they do. Bulldogs too and Siberian huskies. I want to see these dogs swim. 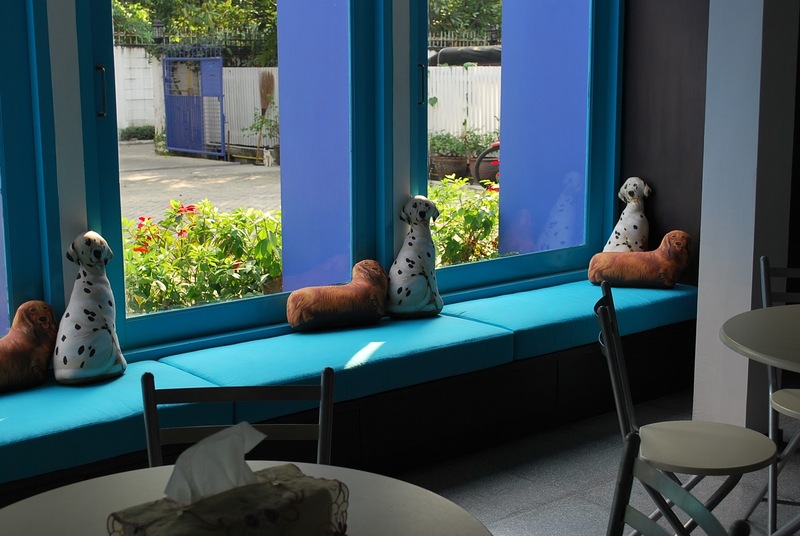 iTube, is a place for those who want to escape the busy Bangkok life and spend quality time with their dogs. 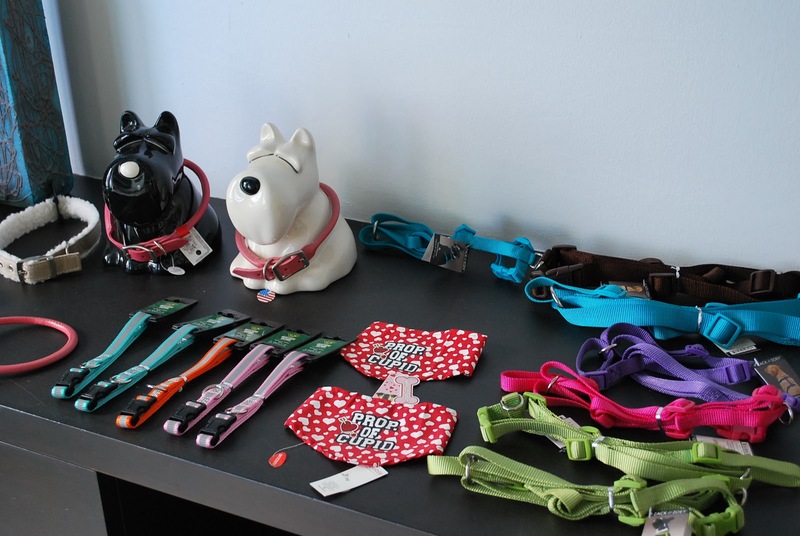 Or even if you don’t have dogs just yet, you could come here to just watch other people’s dogs and mingle. From my past experience, dog lovers are usually friendly people and they will mingle with other dog lovers. While roaming around the place, I was also thinking what a great place this would be to host those dog birthday parties or other events for dog people. It’s kid friendly, family friendly. There’s parking space, there’s a large garden and there’s a pool. Good family event place…. Pricewise? It depends on the size of your dog. It’s per hour so for an hour of unlimited swim, its 380thb for small dogs, 480thb for large dogs and 600thb for x-tra large dogs. Coffee and tea are relatively inexpensive at roughly 80thb. Oh that is such a sweet little dog!! 🙂 Thank you for sharing 😀 Is this a special pool for kids?